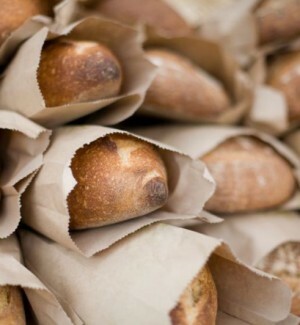 A Natural OGR paper ideal for food packaging applications. Acadia® Natural OGR is an oil and grease resistant paper made with natural – looking, unbleached fiber. This specialty packaging paper offers three levels of oil and grease resistance and is available in wet-strength up to eight percent. 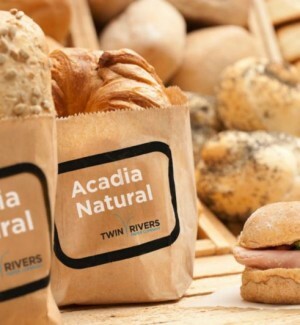 Our extensive experience with barrier properties ensures that Acadia Natural OGR is an oil resistant paper that exceeds performance standards for Quick Serve Restaurant (QSR) packaging. 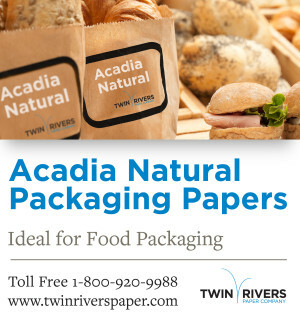 Recyclability makes Acadia Natural a sustainable choice. It is known as an environmentally-responsible substrate for food packaging applications such as fast-food sandwich wraps, French fry and carry-out bags and basket liners. Acadia OGR is also available in white. Acadia® Natural OGR is an oil and grease resistant paper custom designed to meet the needs of individual customers. Please contact us to discuss your specification requirements.